Customizing the window treatments in your home can dramatically update your interior and exterior. Adding a splash of colour with dynamic fabric and material choices is easy with Hunter Douglas Blinds. Save on energy bills during the hottest time of year while controlling your ambiance. Using natural light wisely reduces your electricity requirements and air conditioning needs. The Well Dressed Window can help you regain your Okanagan privacy while customizing your space. Window treatments have evolved greatly over the years; providing more light control and better aesthetics. 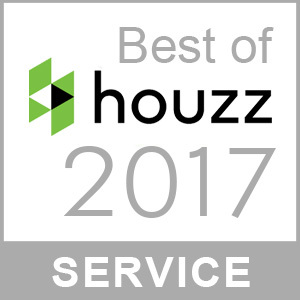 Smart home solutions and automated blind options put homeowners in control from afar. Hunter Douglas blinds have motorization options to enable you to open and close your window treatments to maximize or minimize the sun. Pre-program them around your work or vacation schedule to enhance your home security while staying in control of your interior temperature. Never arrive home to a roasting living room or sweltering bedroom again Kelowna! Your window coverings can add panache to every room while offering value in many ways. The Well Dressed Window in Kelowna believes that window coverings are an extension of every room’s personality. Metal & Wood blinds offer clean lines and masculinity. They are ideal for boy’s bedrooms and home offices. Depending on the rest of your décor, you may wish to show them off over the kitchen window. 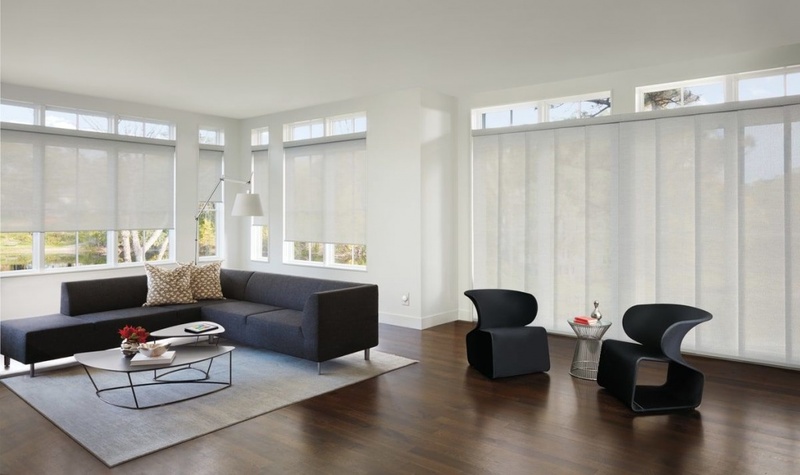 Pleated shades provide a more feminine and solid solution. These are great for trapping heat and enhancing privacy requirements; ideal for bedrooms and bathrooms and kitchen windows that look directly at your neighbours place. Your patio space, solarium and even your outdoor decks can benefit from some protection from UV rays. We carry interior and exterior light diffusion solutions to enable you to completely block out the rays and enjoy a muted view. Roller and Solar shades offer superior flexibility. Many clients prefer this cordless option for rooms with young children. We are happy to take all of your accurate measurements and help you determine which product will best suit your lifestyle and your space. Some clients move regularly due to their career. It is still possible to infuse your personality within your home or office by investing in quality window treatments. There are many simple DIY solutions for amending different lengths if you will be reinstalling your window coverings elsewhere. Renter savvy window coverings are ideal for optimizing your privacy and light requirements. Now is a fantastic time to customize your valences, inject some colour and personality throughout your home. Have everything installed prior to the 35 degree Celsius heat that is around the corner! Imagine the money you will save this year by not having to rely on your air conditioning. Call The Well Dressed Window today to discover a multitude of fabrics, colour choices and materials. Whether you prefer solid or patterned prints, wood or metallic finishes, all of the Hunter Douglas blinds can be cordless and motorized for your ultimate convenience. We look forward to helping you enjoy some stylish sun solutions for every aspect of your home or commercial space. With a verity of options to choose from, the decision can be a tough to select the right blinds for your home. 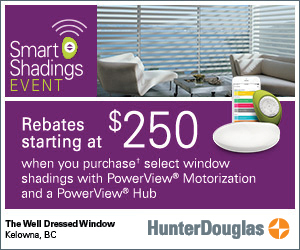 Give us a call at the Well Dressed Window in Kelowna, we can help make this process as easy as motorized blinds!